Why Should You Use Explainer Videos? So you think you want an explainer video on your website? Well, there are plenty of good reasons why you should be seriously considering this option to improve your conversion rate on key pages. 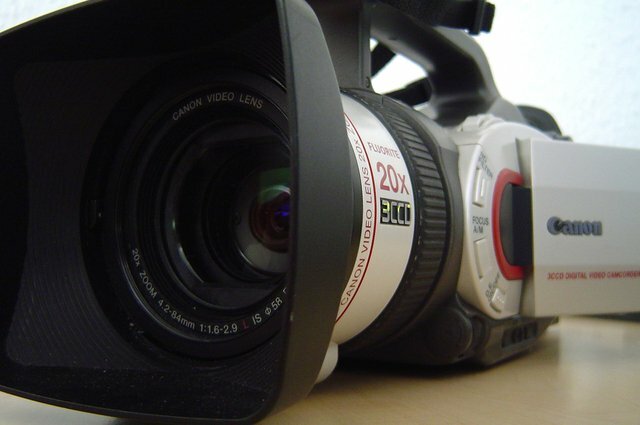 Videos are typically shared around 12 times more than links and text posts combined. Posts with videos attract 3 times more inbound links than those without video. 90% of the information received by our brain is visually processed. You can communicate much more information in the same amount of time using visuals. Visitors spend around double the amount of time on pages with videos on them. often helps raise double the money than if you don’t have a video to explain your proposition and business plan. You can then use your video on your website and drive more traffic to your website by uploading it to YouTube and sharing it on social media. Crazy Egg has a video on their homepage and they estimate it generates an additional $21,000 a month in new income. At the bottom of this post you will find verified links to over 100 explainer video companies. A non-animated video can be good if you are selling a tangible product or a people-oriented service, such as a design agency or consultancy. People love to see what a product looks like in context and having the people who your customers would interact with in a video may help establish an emotional connection. However, live-action videos do restrict you to the real world and so special effects are limited and unless you have a large budget your location is also going to be local. If you don’t have a physical product or object to show you can use an animated video to construct a compelling narrative about how your solution will be the answer to your customer’s problem. This is where the animation is hand drawn and erased using a whiteboard. It is popular because of its simplicity and the low cost of producing such a video. However, they can be very compelling and powerful at telling your story. Almost every Kickstarter project has an explainer video because it’s a great way to sell an idea and persuade people to part with their money. They do tend to be longer than your average explainer video, but Kickstarter does give you easy access to lots of examples of explainer videos. Ok, if you are convinced you want to use explainer videos it is important that you have a reliable process to create a video. Outlined below are six steps people normally follow to produce an awesome explainer video. The main determinant of whether your video will improve conversion or revenue is how good the script is. The audio script needs to engage and persuade viewers that what you are communicating is relevant to them and worth staying with until the end of the video. You are likely to be better at understanding your product or service than a video studio or freelancer. So a draft script should be generated from within your organisation to capitalise on this knowledge. The aim of the video should be to answer any important questions that your potential customers may have within two minutes. If you can’t do this within the time you should review the amount of detail that you are going into or the scope of the video. What tasks are they looking to complete by coming to the site? If they didn’t complete their main tasks, what prevented them from doing so? What information is missing from the page? What is their biggest concern about the product or the site? What, if anything, is unclear or confusing on the page? What is their number 1 reason for wanting to buy the product? You can use tools such as SurveyMonkey or Qualaroo to ask your website visitors questions and see my post how to use Voice of Customer tools to boost conversion for other providers. This should help you identify the main barriers to customers purchasing and what questions you could seek to answer in the video. By better understanding the topic from your customer’s perspective you are more likely to press the right buttons and deal with potential objections. To keep your video to within two minutes it necessary to plan your script carefully so that you deal with the most important customer objections and effectively communicate why your product/service will meet their needs. This should communicate what your organisation does or the product/ service that you are promoting. Ensure it states a clear and important benefit. Outline the problem that potential customers have using the language expressed in your visitor research. Explain your solution: Answer the problem with how your product or service provides a solution and again try to use some of the language customers used in your Voice Of the Customer research. Focus on important features: Make sure you communicate how some of your product’s features solve specific and important problems. Call to action: Ensure you include a clear and compelling call to action at the end of the video so that people are clear what to do next. Build trust: Demonstrate why customers can have confidence in your organisation by displaying trust signals. This should be evidence such as well-known clients or partners, awards or other independently verified seals of approval. A free trial offer can also reduce the perceived risk from the customer’s perspective of making a wrong decision. The tone of voice should be appropriate for the subject and your audience. This usually means that people choose a casual, conversational tone of voice. You can find your own voice-over, perhaps you have a brand ambassador or local celebrity, who has done adverts for you before. Alternatively you can ask your video studio or freelance to suggest someone for you. Either way they need to have clear diction and a tone of voice that aligns with the subject matter and your audience. Step 5: Create Your Video. Here you have a number of options from leaving it all to a professional studio to producing your own animated video using a do-it-yourself website. However, given that it is good practice to A/B test your video and you are unlikely to produce the optimal video on your first attempt, I suggest you keep the cost to the minimum. You are likely to have to tweak or even make new videos as part of the optimization process. Further, if your product changes fairly frequently you may be forced to make new videos on a regular basis. A studio will be more expensive than a freelancer or DIY option, but they do have the advantage that they can often also help with such tasks as choosing a narrator and background music. You will find entries for over 100 explainer video studios near the bottom of this post. The list includes Explainify who have produced videos for Nestle and Walmart, while PlanetNutshell have been used by Google and Microsoft . Demo Duck on the other hand have worked for Netflix and Crazy Egg. This option tends to be cheaper as freelancers have to be more competitive to get the business and don’t have the high overheads of a digital studio. You can either search the internet for a freelancer or use a crowd source website, such as Video Brewery, who will arrange for a handful of quotes from their network of professional freelancers. This makes the whole proposal process a lot easier for you. If you have the time and inclination you can create your own animated videos. Websites such as GoAnimate, Videoscribe and PowToon provide you with easy to use solutions and advice on how to go about this process. It is always wise to A/B test your video for a number of reasons. A great video can certainly engage visitors and improve conversion, but a video that is on the wrong page, is too long, has a poor script or lacks a compelling call to action can in some cases reduce conversion. So you may have to test more than one video to find one that improves conversion and then you should continue to adjust the video to test different versions or calls to action to optimise the video. Check that you have analytics tracking for your video. If you use video players such as Sproutvideo and Vimeo they provide analytics to allow monitoring of how many unique impressions and plays your video receives. These video players can also tell you the location of viewers and the type of device that visitors are using. This can help you with deciding how to amend your video to further improve your conversion rate. For your video to be successful it is important to follow a clear process and set an appropriate budget for creating your explainer video. By following the steps outlined above you will increase the chance that your video will be both relevant and engaging for your website visitors. You will also have allowed for A/B testing to further optimise your video content and be flexible enough to respond to product changes. Here are some great examples of different templates of business explainer videos that you may find useful. Here is a list of over 100 studios and explainer video companies for you to choose from. I have checked every link personally to ensure they are all relevant to explainer videos. AnimationB2B: Animated explainer video. Clients: Reebok, Zenith Optimedia, Hashi-Tashi, Socializer S.A.
Chat Noir: Bespoke film makers for video and animated films. Clients: British Army, Active Cheshire, ea Technology and Cheshire West and Chester. Common Craft: Hand crafted media for explainers. Creative Theory: A Canadian based explainer video company which offers creative and business services. Operates in Calgary, Edmonton and Vancouver. Offers video production services. Cinecsn: Animated explainer video production company. People don’t want to read text anymore. People want to be entertained and just “get it”. Clients: ebay, Santander, DNB and contiki. Epipheo Studios: Explainer video company that creates video content for large enterprises and small businesses alike. Explain It Videos: Animated explainer videos for your mobile apps. Explainervideoly: Studio for big brands, medium-sized companies,start-ups and even non-profits. Clients: WWF, htc and Panasonic. FunnerVids: Make fun, inexpensive, animated business explainer videos that will wow your customers. Clients: Micro Strategies, Convince & Convert. How It Works Media: Animated explainer video company. In 60 Seconds: Develops creative concepts, infographics, video productions and animations. Clients: Philips, eon, Oxfam Novib. Legwork Studio: Digital agency which delivery app design & development, ecommerce and explainer videos. RapidFire Consulting & Video: Explainer videos to help tell your story. SureelVideo: Animated explainer video company. Think Video: Web video specialists with a knack for explanation. Vungle: Provides the infrastructure for app monetization through video ads. More than 200 million people worldwide see a Vungle ad each month. Wienot Films: Explainer video company which delivers videos, whiteboard animation, editing and production services. YansMedia: High quality explainer videos from $2,000. Clients: HiJack, Tempo, Parkway Bank. Your-60-seconds: Custom video productions for your website and App. Wow, congratulations on getting to the end of this post. Thank you for reading my post. If you found it of interest please share this post by clicking on the social media icons. Here is a great infographic on explainer videos from Hubspot. You can view my full Digital Marketing and Optimization Toolbox here. This includes a section on explainer videos which has links to over 100 animated video production companies and freelancers. Conversion rate can be increased by using animated video for product marketing. I began to add animated video in blog and I got more traffic. Hi Sam, I’ve now added Again Studios to the post.